Home » Desktop Computing » Will Windows 8.2 see the return of the Windows start menu? 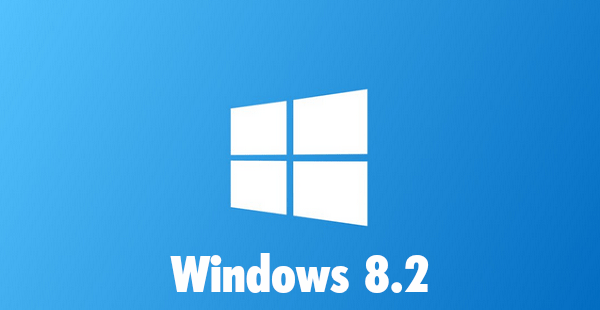 Will Windows 8.2 see the return of the Windows start menu? When Windows 8 was revealed to the public back in October 2012, there was a burning question floating around – where’s the notorious Windows Start menu? The update had not only shocked everyone with its multi-functioning operating system, touch-screen compatibilities and bright Live Tiles but it had also omitted some of the most well known functionalities synonymous with many computers whether they’ve been bought from the high street or online from retailers like ebay.co.uk. The sudden disappearance of the Windows Start menu, previously seen in Windows 7, was met with mixed reviews, prompting Microsoft to rethink. Like all successful companies, they listened to customer feedback before releasing the first major system update aptly named Windows 8.1 in October 2013. This saw the reintroduction of the Start button allowing users easy access to other parts of the computer system including the Control Panel and Task Manager – but the full features of the Start menu are still missing. With Microsoft 8.2 (apparently codenamed Threshold), expected some time in the near future, many people have been speculating the changes that might occur. Of course, the Windows Start menu has been top of the list with bloggers and computer fanatics suggesting the full menu will indeed make a comeback. After all, it’s the next logical step isn’t it? According to Winsupersite, the next version of Windows will let users run Metro apps in floating windows on the desktop and reintroduce the Start menu on products that support the desktop. So, with this in mind, maybe one day we’ll have an upgrade with a good old Start menu that can do all its regular tricks such as start programs, open commonly used folders, search for files, folders and programs, adjust computer settings, get help with the Windows operating system, turn off the computer, log off from Windows/switch to a different user account. Or perhaps we’ll get a Start menu that’s completely different and spark another wave of computer related fury. For now, however, Microsoft are keeping their lips tightly sealed so we’ll have to just be satisfied with the state-of-the-art, high-tech Start screen that stands in place of the Start menu – and is it really that shabby? Sure, it might take a bit of getting used to (all new things do), but with the ability to pin, group, rename, order and resize an array of apps at your leisure, Windows 8.1 displays an array of clever technology and is designed to make your life a bit easier. The interface can be used with a keyboard and mouse or as a touch screen (depending on the computer you buy) and allows you to do everything from retouching photos to creating slide shows and playlists.